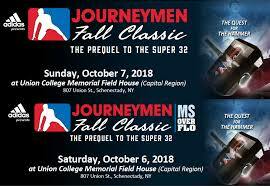 Let’s take a look a the Section 9 wrestlers who are currently entered in the 2018 Journeymen Fall Classic and OverFlo Tournaments. The OverFlo will take place on Saturday October 6th while the main event, The Classic, will go down on Sunday the 7th!!! The tournament takes place at the Union College Memorial Field House in Schenectady, NY. There are a few local kids on the wait list so this list could change over the next week or so. Good luck boys!!! Next Next post: Tournament Opening: Looking for an Out-of-State Dual Tournament on January 5th?? ?